New Zealand Industrial Hemp Association chairman Mack McIntosh says the Government should have included leaves and flowering tops in its decision to allow hemp seed to be sold as a food source. New rules permitting hemp seed to be sold as food have been met with disappointment rather than celebration by New Zealand growers. The decision allowed growers to sell the seed as food but not as hemp plant leaves or flowering tops, which can be used to make food and beverages. As a result, it was extremely disappointing, New Zealand Hemp Industries Association chairman Mack McIntosh said. He said some growers would make money out of the agreement, but it would continue to inhibit the development of the industry. The decision came after an agreement was reached between the New Zealand and Australian food safety authorities on April 28, following a ministerial forum on food regulation in Adelaide. McIntosh said the food ministers’ fear of marijuana had over-ridden any commonsense legislation around industrial hemp. They were still treating the industry like it was a drug crop, despite the consultation process on the rule change taking place over 18 years. McIntosh said the industry could have been much bigger if food and beverages produced from parts of the crop left in the field as leaf and flowering tops were included in the decision. “It’s an extremely watered down version where we are only allowed to utilise hemp seed. It’s like saying oranges can only have a certain amount of vitamin C in them. Food Safety Minister David Bennett said hemp had no psychoactive effect and had historically been used as a source of fibre and oil because it contained proteins, vitamins, minerals and fatty-acids. 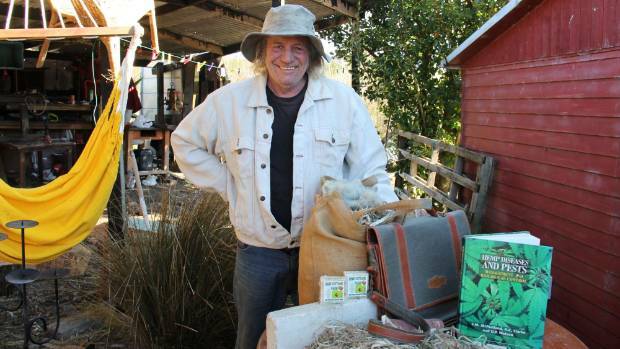 He called it an exciting new industry for New Zealand and processing the seed crop into oil, flour, protein and hulled hemp seeds could lead to job creation. “Low THC-hemp is nutritious, safe to eat and will add to the New Zealand economy. Hemp seeds have a growing global market worth around $1 billion currently. It is estimated it will initially generate between $10 million and $20m in export revenue and create about 20 jobs. Before the new rules come into effect in New Zealand, changes to regulations under the Food Act, Misuse of Drugs Act and Medicines Act would need to be made, which could take up to 18 months.